This is a coveted Cast Lanyard pin that I got while trading at Disneyland Resort. See the little Mickey head on the bottom right of the pin? 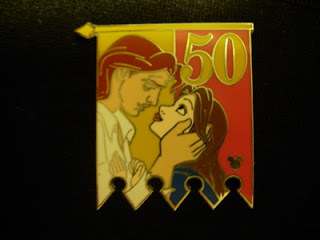 This pin features Belle along with the "human again" Beast.